It was a long 15 and a half hour drive home but we made it. The cows travelled well. Thanks Jennie and Roy for the hospitality and for all the advice. It was only a quick trip but We learnt alot. Hopefully we can get back there one day. The cows are settled in to their new home and are beginning to trust us thanks to a bucket of feed. 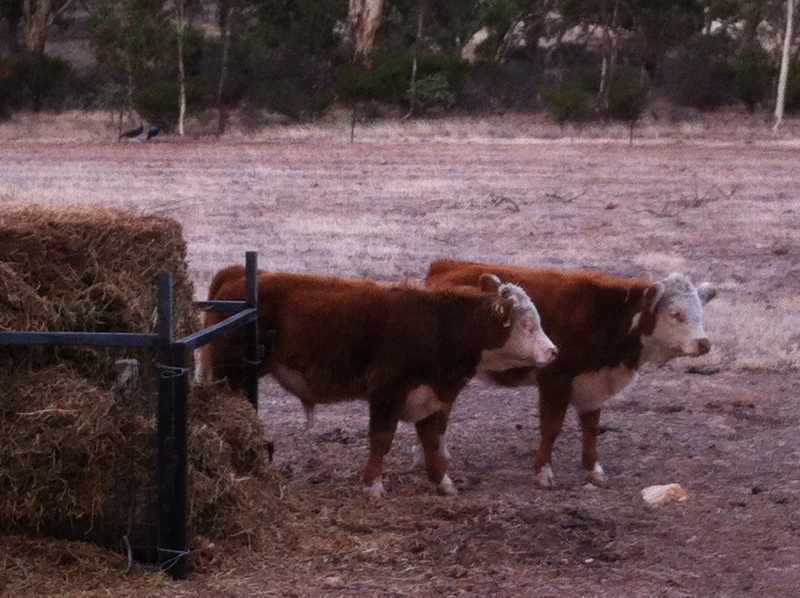 The heifer is definately the cheeky one! Australian Miniature Herefords have excellent quality mini hereford cattle for sale. We can provide both poll and horned miniature herefords.